Excellent for detail work, these cedar barreled pencils contain the highest quality flexible charcoal with no imperfections that lead to scratching. 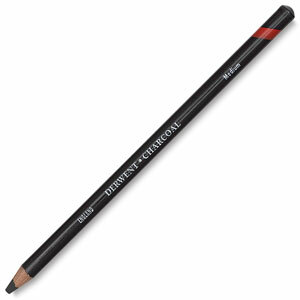 Derwent Charcoal Pencils offer easier sharpening with less breakage. Available in light, medium and dark.